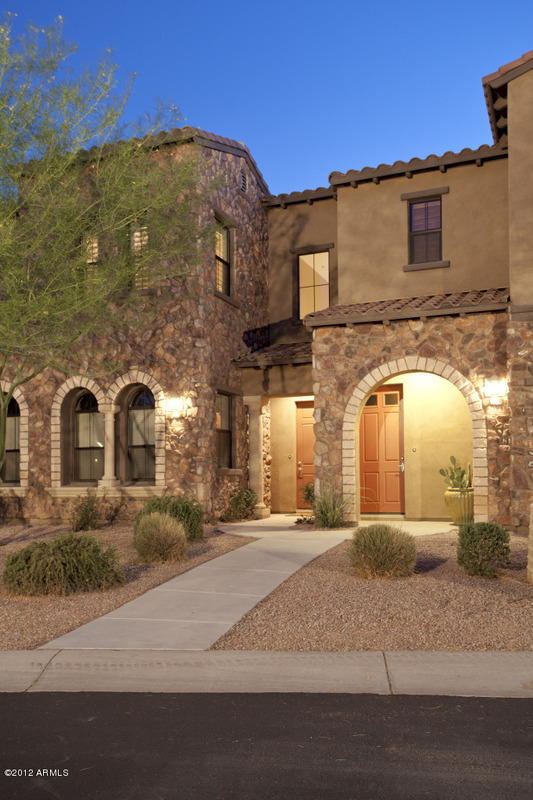 This gorgeous townhome is situated on the 18th hole of one of the prestigious Grayhawk Golf Courses. 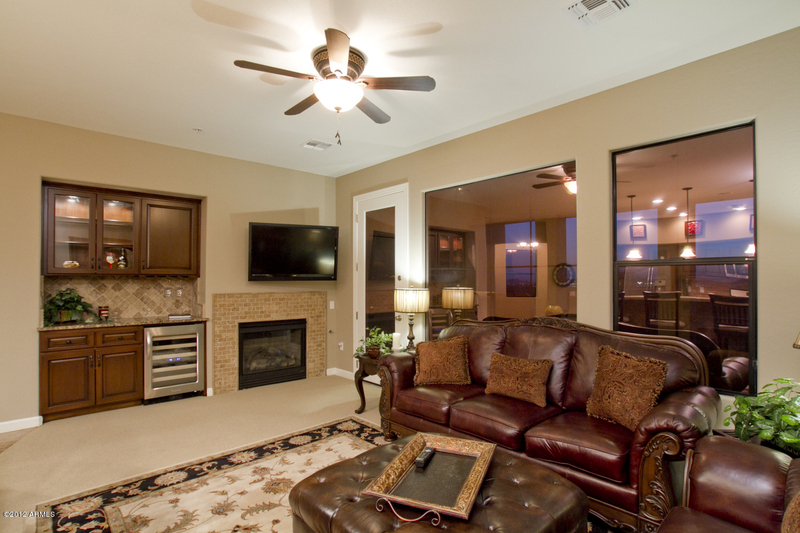 It is a 2nd floor home with majestic views of the mountains and beautiful views of the golf course. 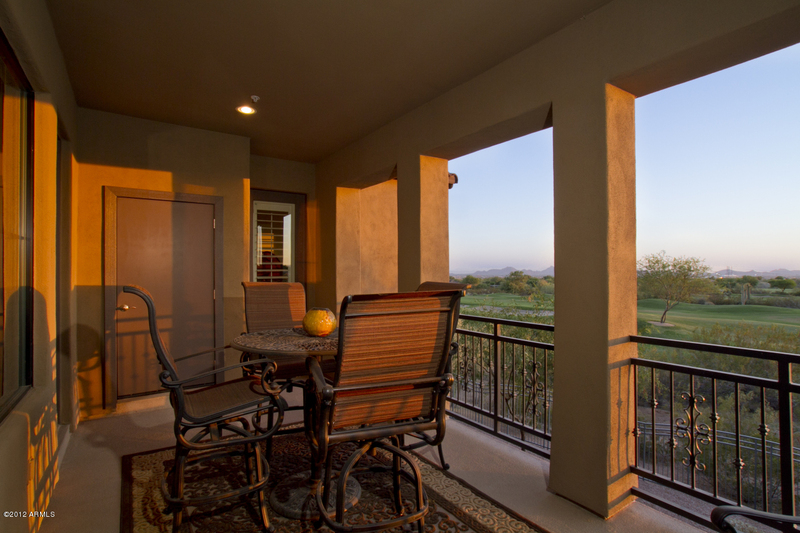 Enjoy dining al fresco on the outdoor patio overlooking the golf course. This is a spacious one level plan with direct entry from the 2 car garage as well as front door entry. 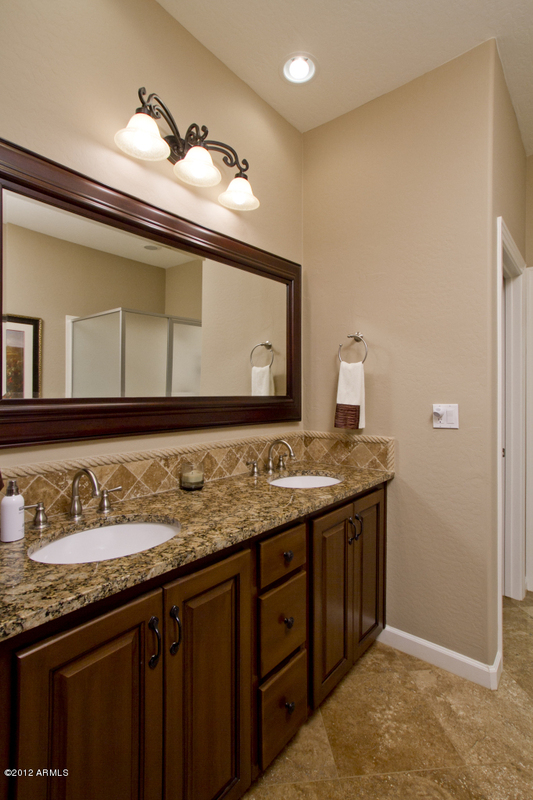 There is ample privacy with a split floor plan with 3 queen bedrooms all with flat screen TV's. 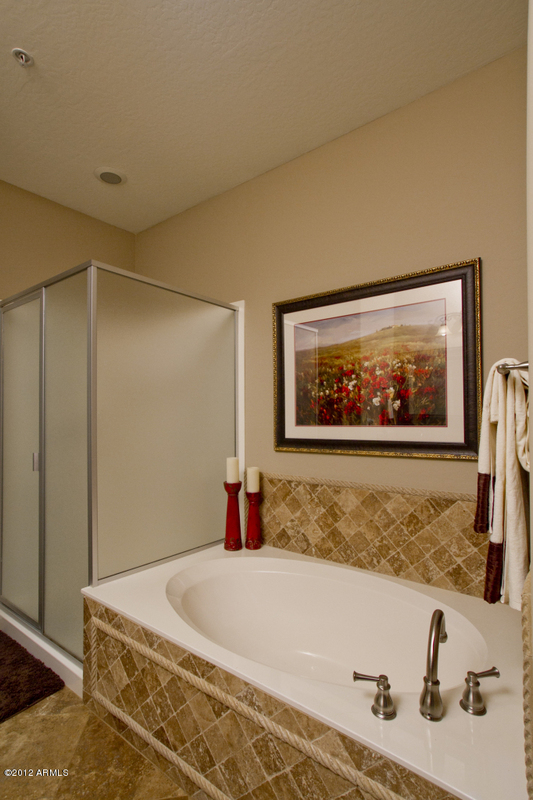 The master bath has both a separate shower and soak tub and the 2nd bath has a combo bath/shower. 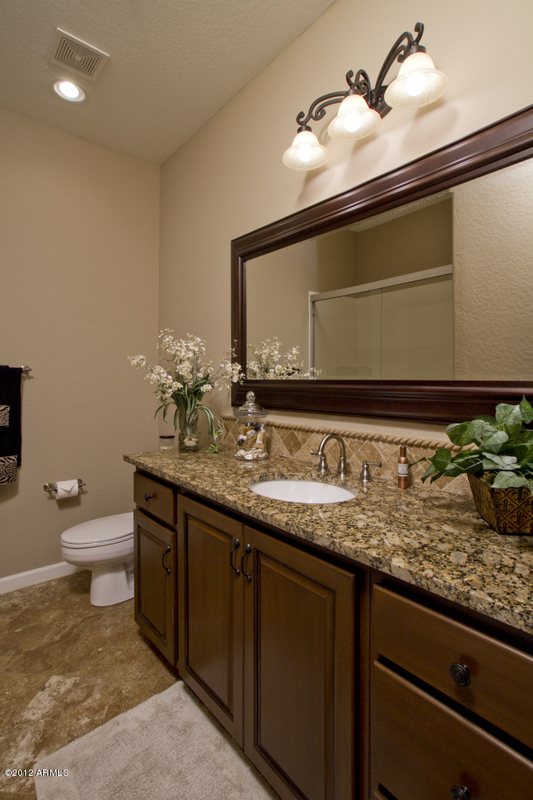 The home is tastefully furnished in the beautiful Arizona Southwest style. The great room is a large area with an open plan to the kitchen. 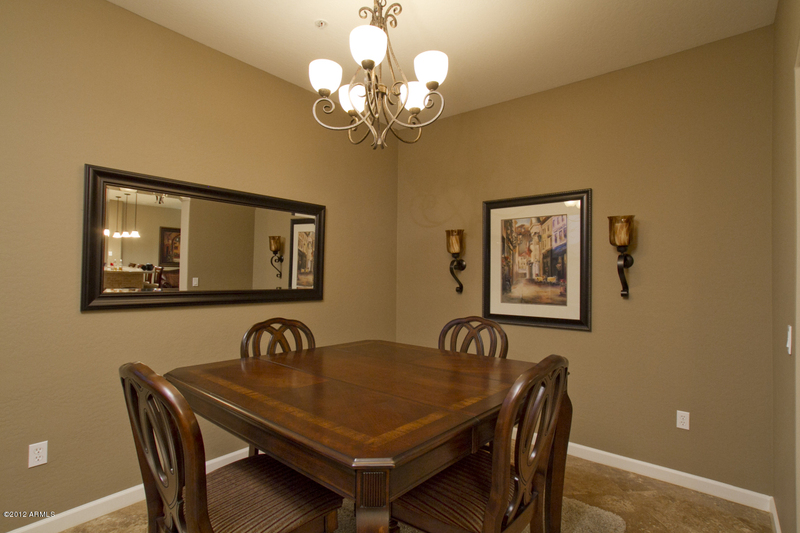 There is a separate dining room and a fantastic balcony opens off the great room. 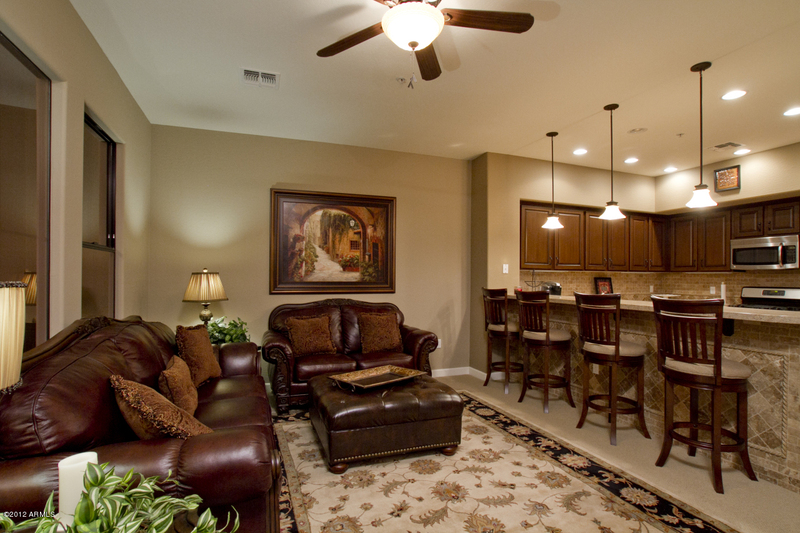 You will enjoy the large flat screen TV in the great room as well as wireless internet throughout. 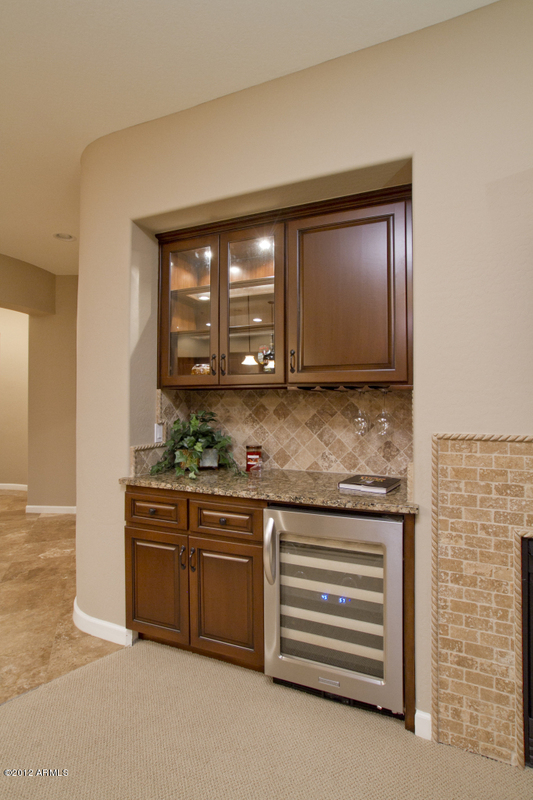 There is a cozy gas fireplace and wine bar to add a fun flair to the great room. 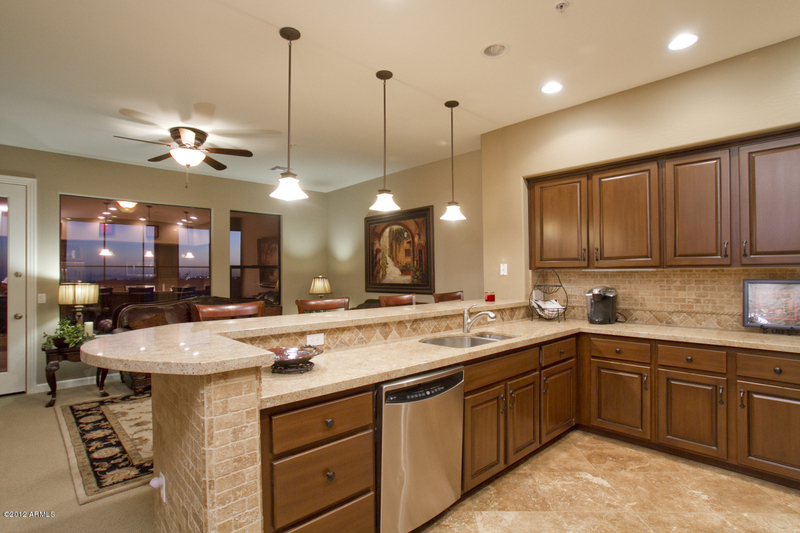 The kitchen is filled with upgrades including granite tiled counters and stainless steel appliances. With breakfast bar seating for 4, a separate dining area and outdoor seating for 4, you will have plenty of room in this home to enjoy fabulous Arizona living. 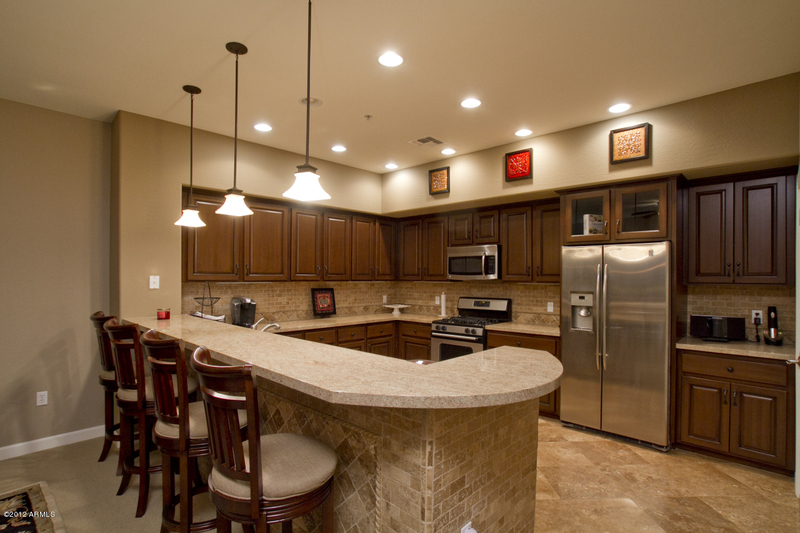 The kitchen is loaded with everything needed to prepare a gourmet meal. 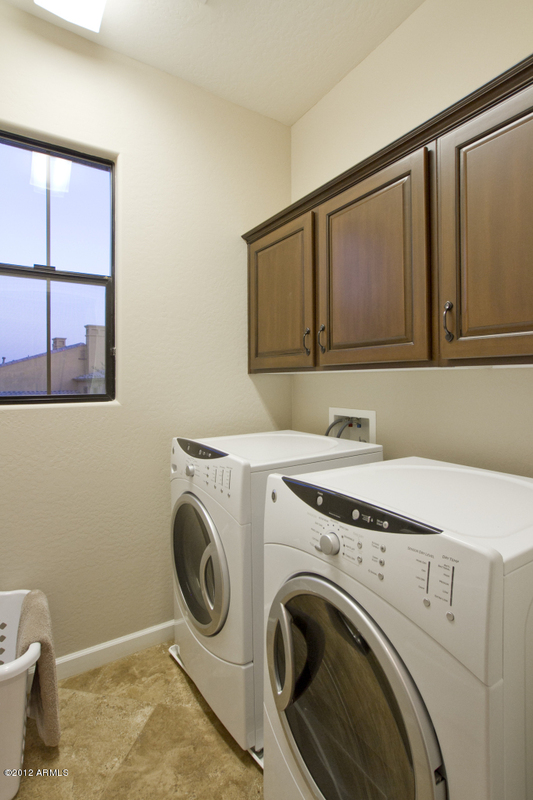 There is a laundry room with full sized washer and dryer for your convenience. 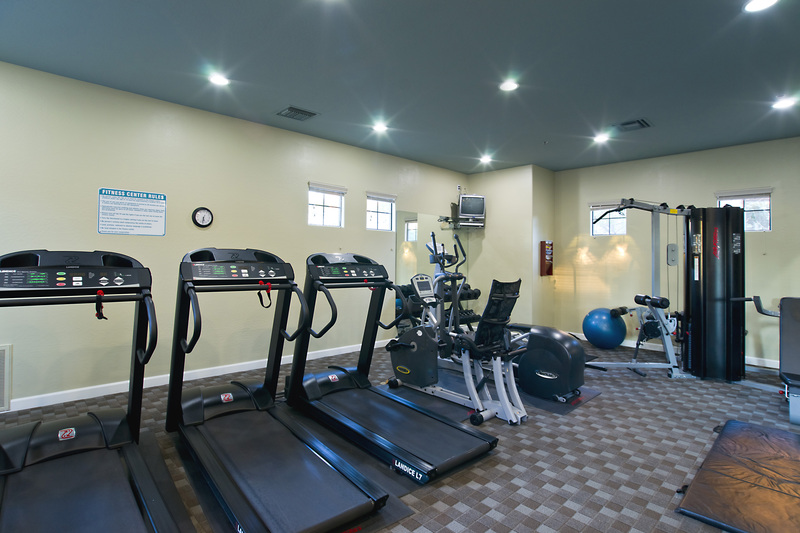 Take advantage of the community pool, hot tub and fitness facility located onsite. Outdoor gas barbecue are also available for your grilling pleasure. 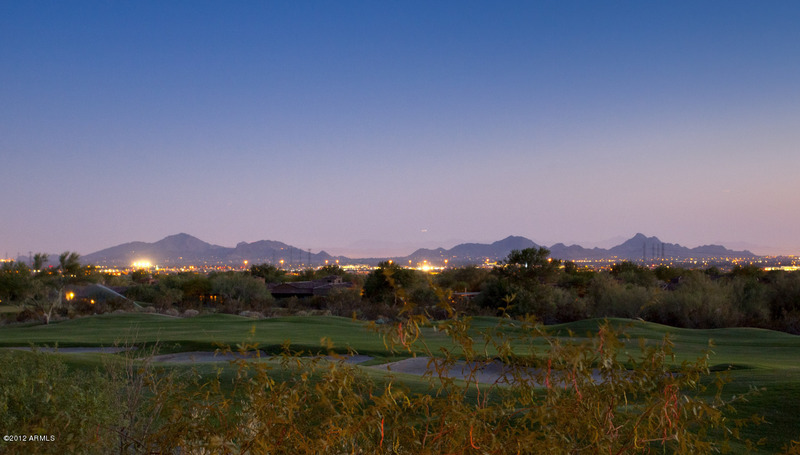 The Grayhawk clubhouse has a great menu and is walking distance from the unit. 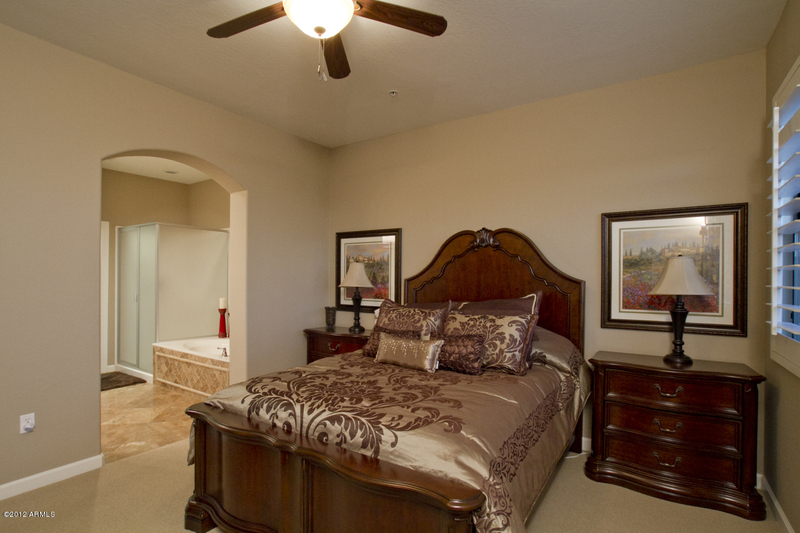 In addition you are less than 1/2 mile from the fantastic restaurants and nightlife that DC ranch has to offer. There are miles of hiking and jogging paths along the golf course and through the desert. 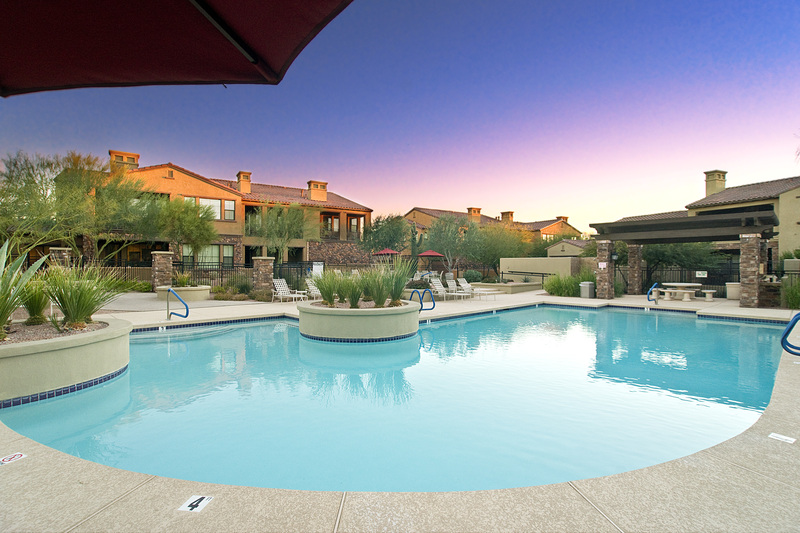 This North Scottsdale location is a beautiful place to spend your next Arizona vacation. 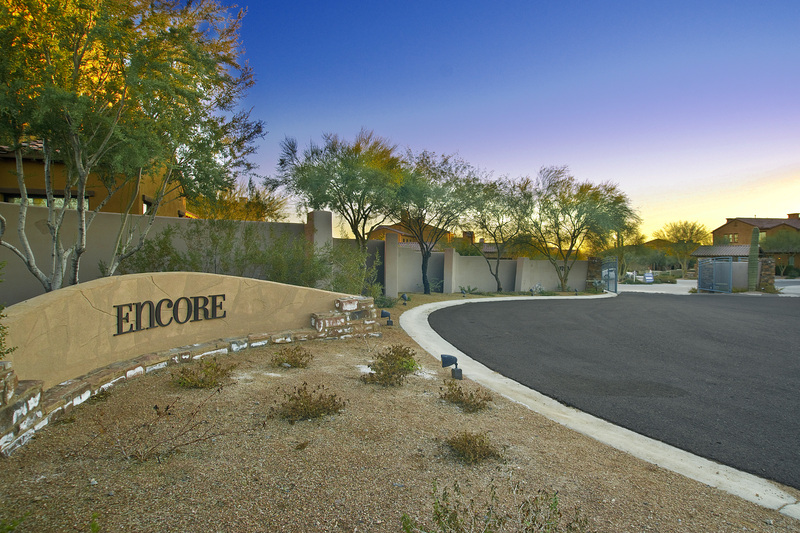 Take advantage of close proximity to world-class golf, dining and shopping minutes from your front door. THIS IS A 30 DAY MINIMUM RENTAL. You will be asked to provide information for the tenant registration that will be submitted to the HOA for each reservation.